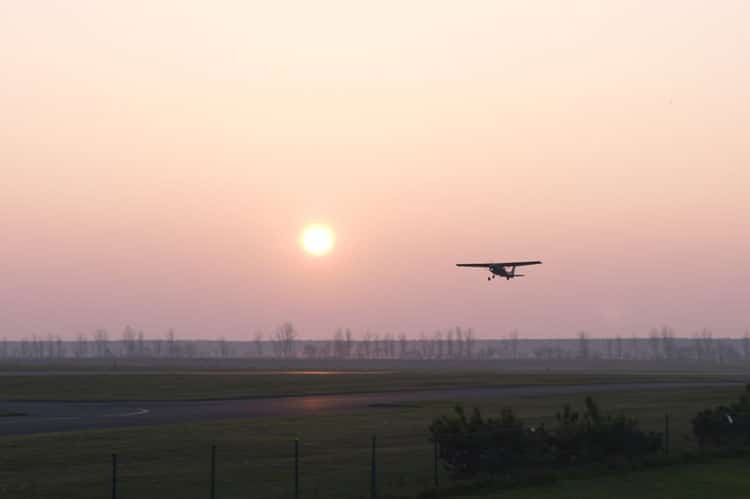 The relentless sun rose in the summer sky, reflecting off the tarmac as Chase trotted toward the Cessna 152 flight trainer. The little workhorse aircraft wore a slightly faded blue-and-white paint scheme, its weathered appearance acquired during thousands of student pilot flight hours. On this early June morning, 16-year-old Chase climbed into the Cessna’s cockpit for the first time, surveying the controls as he waited for his flight instructor. Although he was acing his ground school and had racked up some flight simulator time, his stomach turned flip-flops as he realized this was the real deal. This basic little airplane, with its uncomplicated cockpit and minimum of creature comforts, was about to launch him on a lifetime of aviation adventures. Sound familiar? Well, you’re in good company, as literally thousands of current and former pilots have logged considerable time in Cessna 152 trainers worldwide. During this sturdy little aircraft’s 1978-1985 production run, the Cessna Aircraft Company turned out over 7,500 airplanes at its Wichita, Kansas factory and affiliated Reims Aviation of France. While producing mostly standard Cessna 152s, both facilities built a smaller number of Cessna A152 Aerobat aerobatic trainers. Not surprisingly, the impressive Cessna Aircraft Company story has its origins in the early days of aviation. 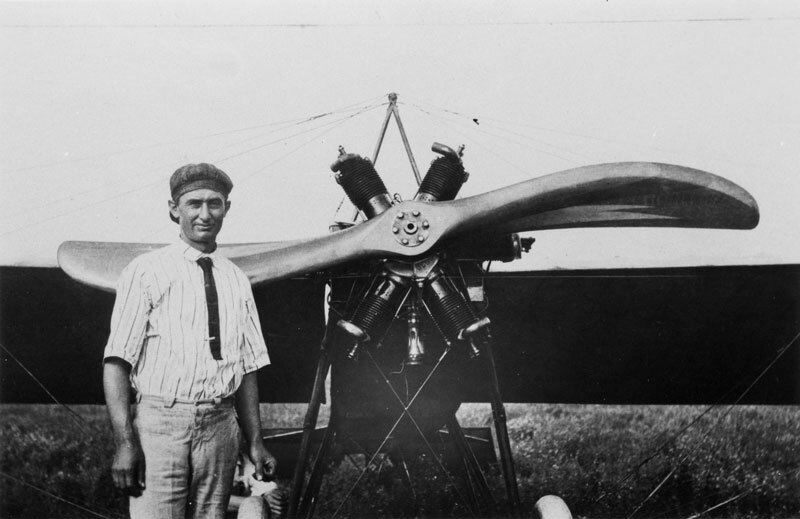 Back in June 1911, Kansas farmer Clyde Cessna constructed a wood-and-fabric airplane, making him the first person to build and fly an airplane between the Mississippi River and the Rocky Mountains. Not content with that notable achievement, he kept building distinctive airplanes, several of which earned design awards and/or won competitive air races. Although Cessna tested his early airplanes on the Oklahoma salt flats, he moved his operation to Wichita, Kansas after Enid, Oklahoma bankers declined to loan him more development money. As the fledgling aviation industry continued to grow, Clyde Cessna partnered with Lloyd C. Stearman and Walter H. Beech, forming Travel Air, Inc. in 1924. In 1927, Cessna left the Wichita-based biplane manufacturer, striking out on his own with the monoplane-focused Cessna Aircraft Company. Cessna wasted little time, getting the company’s first aircraft off the ground in August 1927. Unfortunately, the Great Depression took a toll on luxury goods such as airplanes, forcing the Cessna Aircraft Company to close its doors from 1932 to 1934. In 1934, Cessna’s college grad nephew Dwane Wallace reopened the firm, becoming a jack-of-all-trades who simultaneously served as CEO and floor sweeper. He also flew the company’s airplanes in air races, winning several contests to provide favorable publicity. As the economy recovered, Cessna Aircraft Company again became a prominent fixture on the aviation industry map. Following World War II, Cessna seriously began producing two-seater light planes, with each model evolving toward the Cessna 152. In 1946, the company launched the Cessna 120, with its aluminum fuselage and fabric-covered wings. The almost-identical Cessna 140 followed, sporting aluminum-clad wings. Although these aircraft enjoyed healthy sales numbers, Cessna stopped its 140 production in 1951, focusing on four-seater aircraft instead. Switching gears again in 1957, the company identified a market for a tricycle geared Cessna 140. Although the aircraft began life as a Cessna 142, it was quickly renamed the Cessna 150 six days later. In 1966, the venerable 150 received a makeover, including the addition of a wildly popular slanted tail. The restyle paid off, resulting in sales of 3,000 Cessna 150s in 1966 alone. In 1970, the Cessna 150 Aerobat hit the market, gaining popularity as an aerobatic training aircraft. Many 150 Aerobats still serve as sport aircraft. Finally, the stage was set for the two-seater Cessna 152, introduced in 1978 as a modernized version of the Cessna 150. Designed to compete with the Beechcraft Skipper and Piper Tomahawk, the Cessna 152 featured a higher useful load (1670 pounds), along with reduced external and internal noise levels. The 152’s cabin was also slightly widened to accommodate the wider torsos (and rear ends) of modern pilots. Most importantly, the Cessna 152 boasted a 110-horsepower Lycoming O-235 engine, providing a much-needed power boost compared to the Cessna 150’s 100-horsepower Continental engine. Ideally, the Lycoming powerplant would enable the 152 to better tolerate newer high-lead 100LL octane fuel, compared to the Continental’s notorious lead buildup problems with that same fuel. In reality, though, the poor Lycoming engine had even more lead fouling problems than its predecessor. Finally, a solution arrived during the 1983 model year, when a slightly less powerful Lycoming replaced the 110-horsepower engine. In 1985, the wheels came off the light aircraft industry, when increased product liability risks caused numerous manufacturers to rethink their market exposures. General Dynamics purchased the Cessna Aircraft Company during that year, and soon afterward shut down all light aircraft production. In 1992, Textron Inc. bought the Cessna business amid a more favorable light aircraft production environment. However, Textron decided not to reintroduce the Cessna 152; and instead moved forward with the Cessna 172, Cessna 182, and Cessna 206 models. Today, Cessna’s product line includes diverse single-engine airplanes, utility turboprop aircraft, and business jets. By now, you’ve correctly concluded that the Cessna 152 is a great entry-level airplane. Like any basic functional vehicle, though, a 152 owner might have the inclination (and spare cash) to add some performance and/or safety enhancements. A reasonably flush owner could upgrade standard factory equipment such as air filters and vents, oil screens, and engine starters. Anti-collision strobe lights, carburetor icing detector, belly-mounted fuel drain, and flap and aileron gap seals represent other affordable modifications. At the other end of the spectrum, the pricey aircraft upgrades begin with a 150-horsepower engine. From there, an owner might add a STOL kit to the airplane’s wings, convert the tricycle landing gear to tailwheel gear, switch to a more efficient propeller, and even add auxiliary or long-range fuel tanks. In other words, the sky’s the limit for these folks. Because this well-built little airplane got thousands of happy pilots into the air, they’d likely give it a “thumbs up” if asked. However, the Cessna Aircraft Company’s products didn’t always receive high praise within the aviation industry. Especially during the 1950s and 1960s, and possibly for years afterward, Cessna’s competitors (and the aviation press) mocked the company’s use of catchy marketing slogans and buzzwords. In retrospect, the Cessna Aircraft Company certainly had the last laugh in this multi-decade battle. The firm’s designers created an affordable and appealing airplane, and the marketing department created a feverish demand among current and aspiring pilots. As a result, during Cessna’s 1960s and 1970s heyday, the company built and sold more airplanes than any other manufacturer. Fast forward to 2016, when many flight schools are selling off their older Cessna 152s before purchasing newer flight trainers. Suddenly, these small utility airplanes present budget-minded pilots with a feasible means of taking to the skies without mortgaging their house. However, before plunking down the cash or financing your purchase, step back and look at the subject aircraft’s construction and maintenance history. For a professional assessment applicable to every Cessna 152, we consulted a certified Airframe & Powerplant Mechanic who maintained a fleet of flight school 152s for several years. Speaking in maintenance terms, a correctly maintained Cessna 152 is just about bullet-proof, as it easily withstands the often-harsh demands of flight school use. If the Lycoming engine receives regular maintenance, it generally hums along until the Time Before Overhaul (TBO) date. When repairs are necessary, the aircraft’s large production numbers mean plenty of salvaged airframe parts are available. You’ll also find many interior replacement kit sources. Regarding repairs, remember that some student pilots don’t execute the smoothest takeoffs or landings. These mishaps often result in damage to the aircraft’s tail tiedown ring, which fortunately is an easy fix. Best of all, you shouldn’t encounter any expensive recurring Airworthiness Directives (ADs). Generally speaking, the Cessna 152 is a very affordable mass-production general aviation aircraft. As an example of its reliability, consider the flying habits of fire patrol pilots in eastern North Carolina. These hardy aviators often criss-cross the sky for 18 hours each day, stopping only to refuel the airplanes. To make themselves more comfortable, they often sit smack in the middle of the two seats. Picture the pilot’s left leg on the pilot’s left rudder pedal and his/her right leg on the copilot’s right rudder pedal. This unconventional arrangement likely gives their cast-iron bottom some welcome relief. Maybe a well-seasoned Cessna 152 would fit nicely into your aviation plans. Think about viewing some gorgeous spring morning scenery, or watching a stunning summer sunset, from high above the ground. Perhaps you’d enjoy short-hop trips to enticing restaurants or off-the-beaten-path vacation spots. Or, you could finally visit friends or family members who were just beyond weekend driving trip distance. Taking a different track, maybe you’re eager to rack up some flight hours so you can gain experience, earn another certification, or qualify for a specific aviation job. Regardless of the reason, a Cessna 152 can fill the bill. How much will an older Cessna 152 cost? Although each airplane’s price will depend on its equipment and condition, consider $20,000 to $30,000 as a realistic price range. As you might expect, the Cessna 150-152 Club might be a good source of aircraft classified listings. The Aircraft Owners and Pilots Association (AOPA) can also provide useful resources. If you manage a flying club, own a flight school, or are open to an aircraft partnership, a Cessna 152 “Reimagined Aircraft” might be worth consideration. In 2014, AOPA teamed with Wyoming-based Aviat Aircraft to establish the Reimagined Aircraft Program, specifically targeting Cessna 150s and 152s. AOPA chose these popular airplanes because they are inexpensive to operate, easy to maintain, highly dependable, and widely available. Most importantly, these little Cessna aircraft are tremendously fun to fly. Let’s follow a typical Cessna 152 that has been placed in the Reimagined Aircraft Program. First, qualified Aviat Aircraft personnel inspect the airplane from nose to tail. Next, they ensure that all airframe parts, components, and assemblies are brought to meet (or exceed) industry standards. The Cessna’s engine receives a complete overhaul, including installation of numerous new parts. The aircraft’s avionics are refurbished or replaced with updated equipment. The Cessna 152 receives a cosmetic makeover, getting new exterior paint and a completely new interior. In other words, the aircraft gets a new lease on life before it’s made available for sale. Finally, Aviat Aircraft includes an extensively detailed warranty with each Reimagined Aircraft purchase. Of course, buyers with flexible budgets might wish to deck out their “new” airplane with an Options Kit (or two). Examples include a Wheel Pants Kit, an Optional Instruments Kit, a Garmin GDL39A Kit, or even a Lycoming Rebuilt Engine Kit. Although Reimagined Aircraft prices will vary according to program demand and available aircraft hulls, the AOPA/Aviat Aircraft team estimates a $129,900 base price for a completely revamped Cessna 152. If that sounds like a pretty hefty price tag, remember that Reimagined Aircraft are generally intended for shared ownership programs. As an example, assume that your active flying club purchases a Reimagined Cessna 152, with specific financing terms. During a given year, up to 8 pilots will fly the airplane, logging a total of 700 hours in the air. Operating that aircraft will cost slightly less than $65/hour in 2016. This figure includes hourly fuel costs, oil changes, tiedown rentals, 100-hour and annual inspections, insurance, and loan payments. In addition, a generous overhaul and maintenance reserve fund should absorb unplanned repair expenditures. Taken as an entire package, a Reimagined Cessna 152 could be a cost-effective purchase option. Of course, attractive pricing doesn’t mean anything if you can’t finance or insure the aircraft you want to buy. To alleviate those concerns, AOPA has consistently worked with banks and insurance underwriters, gaining confirmation that purchasers of Reimagined Cessna 152s will easily be able to obtain financing and insurance. By enabling the transaction to proceed as smoothly as possible, the AOPA/Aviat Aircraft team might encourage additional purchasers to make a Reimagined Cessna 152 an integral part of their group’s flight plans. 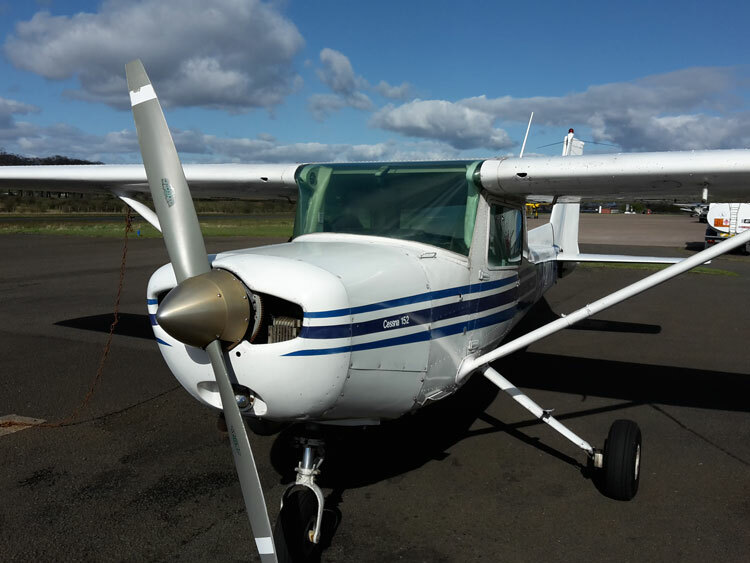 The Cessna 152 is solid, well made, dependable airplane that has enjoyed a long history as both a trainer and cost effective personal airplane. And thanks to the Reimagined Aircraft program, the 152 has a new lease on life. I’m thinking about purchasing a 150/152 and this was great to read. Great article, well done. Thank you!